This is Little Alexandria. 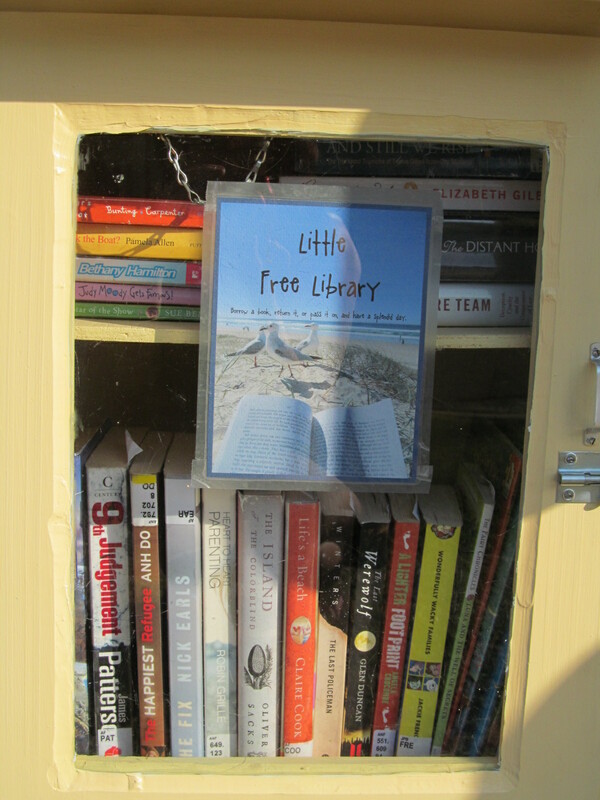 It is a free library for anyone who wants to come and borrow a book. 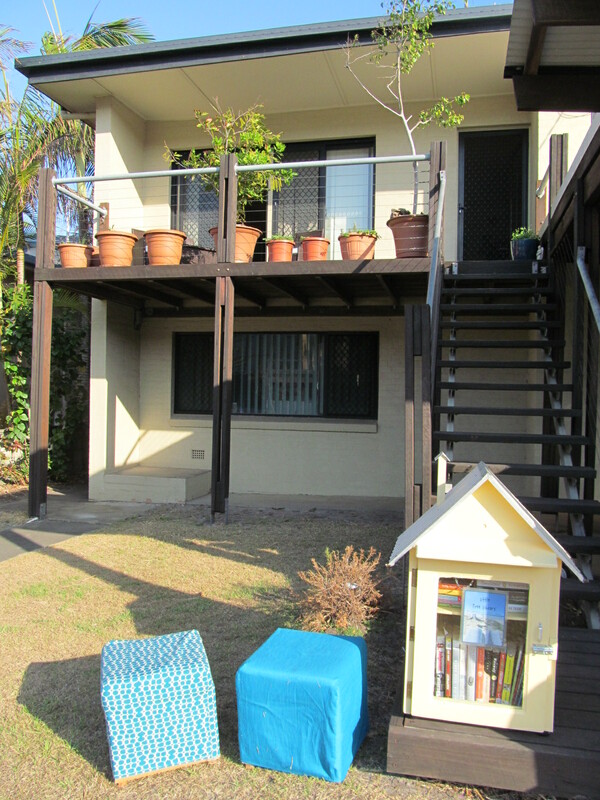 You are welcome to sit and read, to borrow a book for a while or swap it for another. My friend made it for the pleasure of her neighbourhood community. 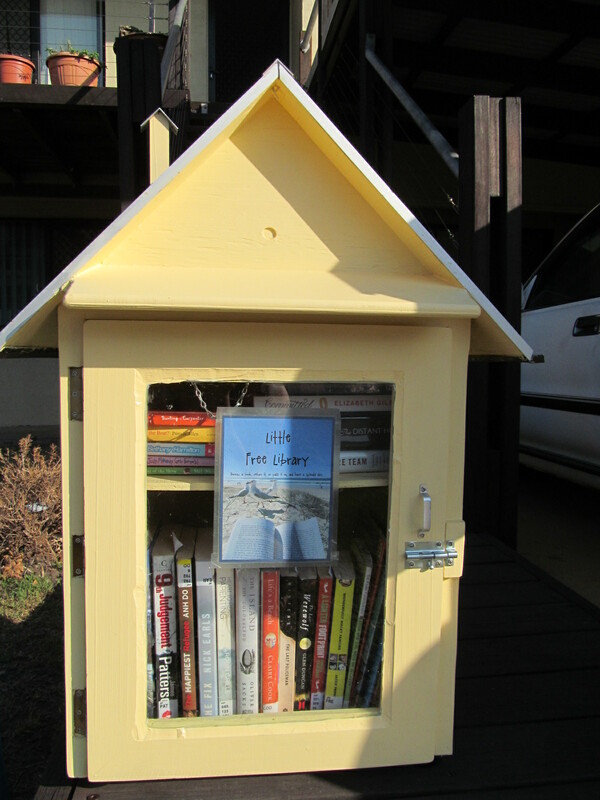 One of her neighbours built and installed it and I think many have contributed books. It sits outside the front of her house, built to withstand the weather, waiting for people to come and immerse themselves in literacy. With some comfy chairs to spend some time sitting and getting to know the neighbours too. Isn’t this a great way to build community? I think it is also another wonderful way that children in the neighbourhood can have access to books, access to people who love books – and learn the joy of reading. Reading doesn’t have to be solitary!